This is a Dual Extruder which can be used on 3D printers like Mendel, Prusa, Makerbot, and Printrboard and others. The two print heads are conjoined with a piece of high hardness aluminum bar with good heat dispersion and high reliability. The main benefits of this Dual Extruder includes being able to print more complex objects with support structures and more aesthetically pleasing objects that feature multiple colors or multiple materials. The possibilities are only limited by your imagination. Hey, any chance you were going to ship my order anytime before the end of the month? Order was placed and paid for 11 days ago and you all have not yet responded to any of my emails. what's up? sorry, can you please send order number? hi there. 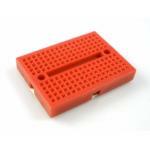 i was wondering if this works with the makerbot replicator 2x? and is everything in the picture what you get? I recently purchased a kit for the dual extruder i3. I'm having issue with the extruder. Seems like the motor is not pushing enough. Also, I found two plastic tubes inside the piece of metal that holds to the extruder. Do I need to keep these or remove? Thank you. 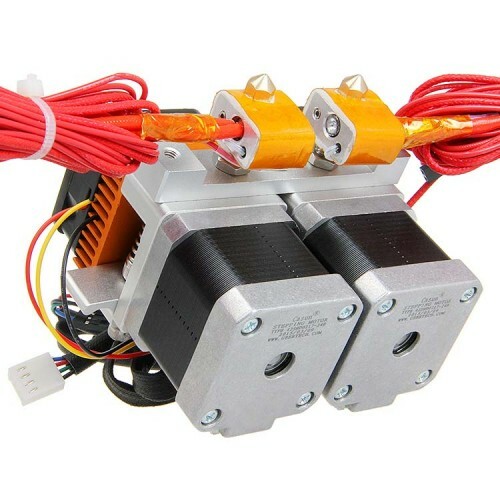 i use the gt2560 on my I 3 X pro the stepers from the dual extruders go the wrong way round have you a wiring plan for it ? 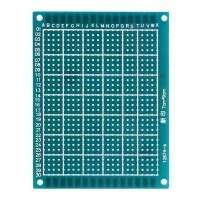 Could I mount this on my Prusa I3X? Hi Mark,sorry for late reply.Yes,this dual extruder fit I3 pro c.Thanks. 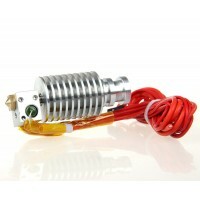 Is this extruder compatible with the Geeetech aluminium I3 printer ? 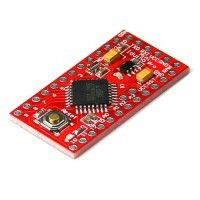 In particular can I connect it to the sanguinololu board as is or do I need to change the controller board to drive it. If this is the case, which board would you suggest ? 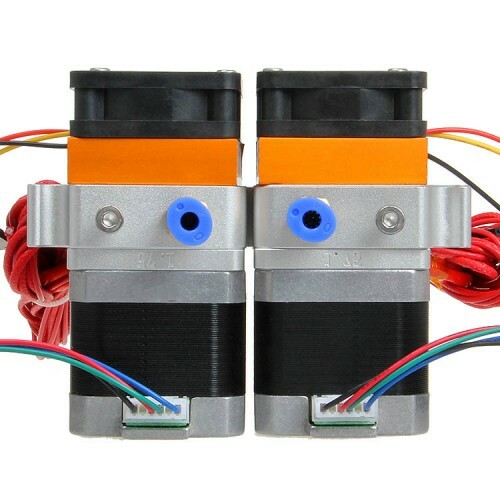 Hi Duc,sorry for late reply.This dual extruder is only compatible with ProC，D5，G2S Pro,more details you can contact our technicians:technical@geeetech.com,thanks. Is it possible to purchase the base block from this assembly separately? I only need to replace my current base block, everything else is good to go. Hi Larry ,are you mean the dual extruder Aluminumnn plate ?you can email to me:zina.luo@geeetech.cn ,and i will help you. Hello I bought this part for my replicator 2 (makerbot), I received the parts and when I try to plug and play, no one of the parts fit in my printer, I digging in the page (wiki, blog and forum) but I dont find install support in any place. Can you please help me? 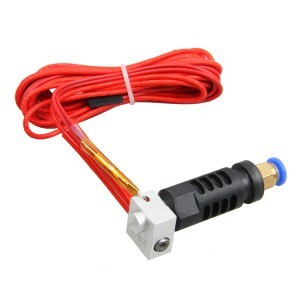 is thise compatible with prusa pro c double extruder ? Hi Omar,yes ,it is . Thx Zina, have you receive my mail? Thx again. Hi rafael ,yes ,will reply you soon . 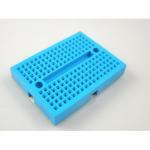 Hello, I have a i3 pro C, and I don't know witch model of Hot End I must choice. I don't find it on this website. Normal? 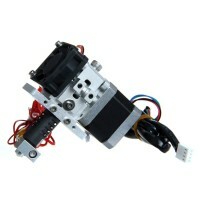 I think see the model on this image.But I don't want motor(extruder? 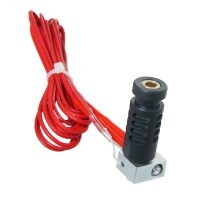 ), only hot end? What can I do? (sorry for my english). 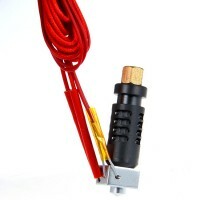 Bonjour, J'aurais besoin de hot end pour ma i3 pro C, mais chose étrange je ne l'a trouve pas sur ce site, ou si je comprends bien l'image, c'est ces hot end montés sur l'extrudeur. Mais je n'ai pas besoin des extrudeurs, uniquement des hots end. Des models adaptables à ma i3? Que puis-je faire pour avoir des pièces de rechange? Please Help me. 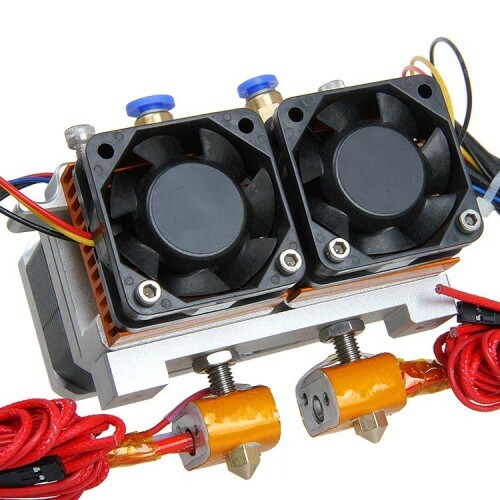 I have a GT I3 Pro X. I would like to upgrade to the dual extruder. what else do I need to make this work? 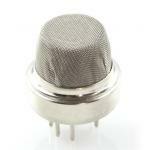 Do I need an additional A4988 stepper driver? How do I get the dual extruder mounted on the acrylic carriage? Software changes? Etc... Please advise. 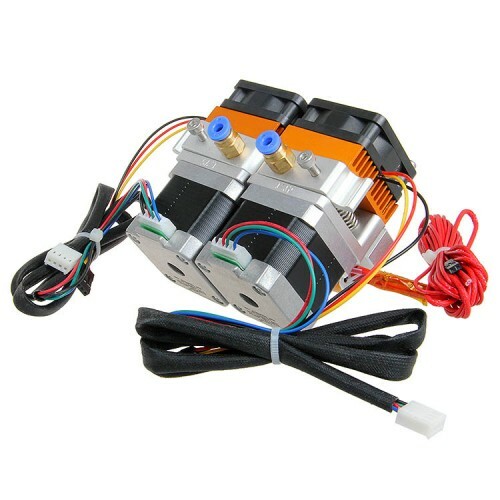 Hi Israel,you can take this wifi about how to upgrade the pro X to dual extruder:http://www.geeetech.com/forum/viewtopic.php?f=13&p=28538#p28538 .Any problem pls kindly let me know. 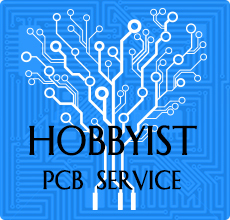 we have bought 2 printers from your German distributor Squaremart on Ebay. 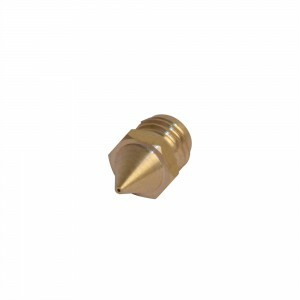 They arrived with the wrong nozzles, we want 0.5mm nozzles and 3mm filament. Can we exchange our unused ones for the ones we require ? 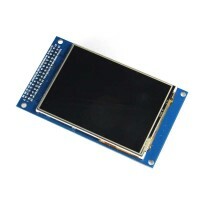 hello Steven, thanks for contacting us, if you need any replacement, please contact the ebay seller,they will help you. 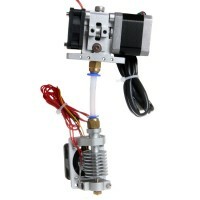 Hi, i buyed this extruder to my i3x printer. What else i need to get this working? I also buyed one controlled. 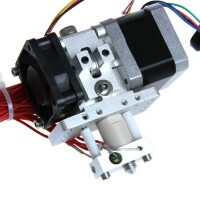 if you want to upgrade your pro x into a dual extruder one, please refer contact our sales for the kit. Can I use with 3d printer Me creator 2? hello!!!.. can I use this MK8 dual extruder to convert my I3 pro B printer in a dual filament printer? thank you!! could you inform any support that i can use with this extruder? Hi,if you are mounting this extruder on the MK8 Dual extruder holder, you need to remove both fans from the extruder and mount one of them on the holder. I have an I3 Pro B single filament printer. are there instructions available to install the dual nozzle on this model? can you ship as dual confoguration ? one side for 1.75mm other side for 3mm filament ? Yes, we can send it as dual confoguration. But you're not expected to do so unless you're experienced in 3D printing. 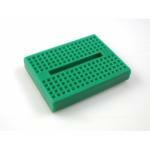 Im wanting to print with nylon and polycarbonate do you do a version that can handle the higher temperature 250-300? Sorry for the late reply, we spent our Chinese New Year vacation for a couple of days. Sorry to tell you currently we don't have such a version. Will these extruders work with water-dissolvable printing material? 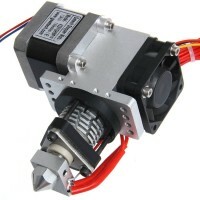 What are the steps per mm settings for this extruder? I have a I3X , I wonder if this dual head will work for me, and if so is this the only upgrade i need to do ? will it work with my controller ? i think in my kit, the controller is "GT2560+ 4 A4988"... would love to any instructions and knowledge about this potential upgrade. Hello Barry, yes this dual extruder can be used on I3X, and you don't have to change the control board. 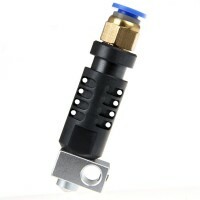 You can contact our sales to purchase the whole upgrading kit. 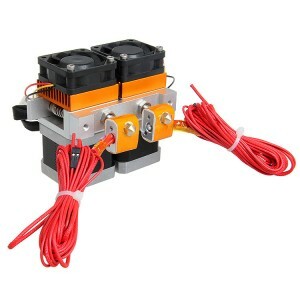 Will this work with the FF Creator/Wanhao Replicator 4x/CTC clone machines? They appear to be 24V boards. 24V voltage is OK, but you need to check if the installation holes on you printer allow you to install MK8 extruder or not. 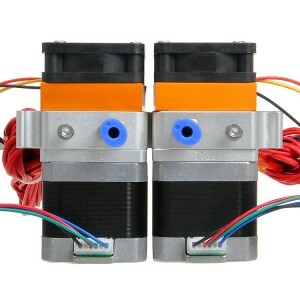 Hello -- I have the i3 pro X with the mk8 extruder -- I want to replace it with these - however my printer can print down to .05 res and I was wondering if I change to these will it still be able to print at the same .05 resolution? Yes, it will still be able to print at .05 resolution. 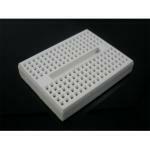 Hello,sorry for the late reply.Could you tell me your order number and where you bought the 3d printer? Then I can inform related colleague to help you solve it. Hi. I bought a new MK8 Dual Extruder. Now it's configured for 1,75 mm. filament. What should I change to upgrade to 3,00 mm. filament? Thanks for attention. Hello Luca, you can see on our website that every extruder of certain diameter has two types, which are corresponding with two kinds of filaments:1.75mm and 3mm. Now you are using the extruder for 1.75mm filament, and if you want to change to 3mm filament you have to change all the parts on the extruder except for motors. 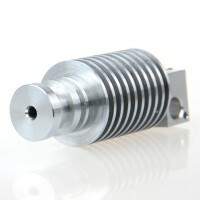 So you are advised to buy a new extruder for 3mm. Hi. Thanks for the quickly answer. I have to change: - the barrel - the motor drive gear - the idler wheel - the nozzle I think that no other parts are needed to change to upgrade. Can you say me where can I buy these parts? 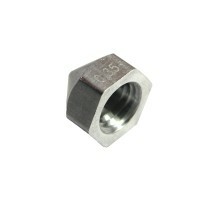 Our salesman will get in touch with you, thank you. I'm having oozing problem from the inactive extruder. What should be the value of the "retraction length" and "extra length on restart"? What other setting should I change in Slic3r? Hello Rio, please tell me which type of printer you are using so that I can provide you with correct parameter. What changes if I select PLA vs ABS when ordering? 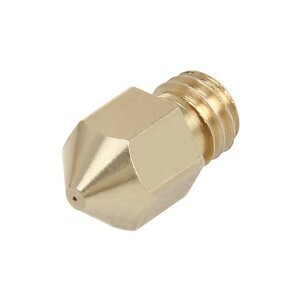 Can't the same nozzle be used for both materials? Can this be used to upgrade a MakerBot Replicator 2 to a dual-extruder configuration like the 2X? Does it need special adaptation to do so? 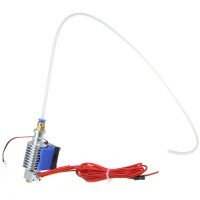 what is the distance between the two nozzles, can i buy this dual extruder and use it on my Geeetech i3 pro?